16th Street is delighted to offer you the unique opportunity to work with Academy Award-winning producer and international film director, Paul Currie. This on-camera in-depth scene study aims to empower actors to push the boundaries of screen performance by trusting fully in their impulses, talents and humanity. Paul will take actors and auditors on a cinematic journey to teach the intricacies of what makes an engaging and moving screen performance. 16th Street Actors Studio will be converted into a film set and actors and auditors will be transported into the world of cinema by engaging with the work live on the floor and on the big screen. In this 2-Day On-Camera Workshop participants will work with an accomplished director and producer who possesses an extensive knowledge of film acting techniques and a deep passion for providing actors with the skills required to create a memorable screen performance. Paul has been teaching these workshops in LA to great success and we are thrilled to host his first Australian workshop here at 16th Street. Participants will be carefully paired and allocated a scene from a contemporary script which has both psychological depth and an unconscious world to delve into. Paul will choose scenes that tap into archetypal characters which he will explore both with the actors and the auditors. Actors will learn their innate archetypes and what roles they are most suited to, as well as be empowered to create these roles for themselves. Be inspired by the power of intimacy, working truthfully in front of a camera and learn how to make your work cut through all the noise. This Workshop will be as powerful for the auditors as it is for the actors on stage. Paul will create an environment and facilitate exercises which will include the auditors in the work and the discoveries. He will demystify the ‘process of filmmaking’ and ‘the actors process’ and teach how to create an environment conducive to producing exceptional work. To book Auditing Tickets please click on the below links or the links in the Auditing Section of this page. Paul Currie is an accomplished director and award-winning producer who founded Lightstream Pictures and Cosmos Pictures who produced the Academy Award-winning Hacksaw Ridge, directed by Mel Gibson and starring Andrew Garfield, Vince Vaughn and Sam Worthington. 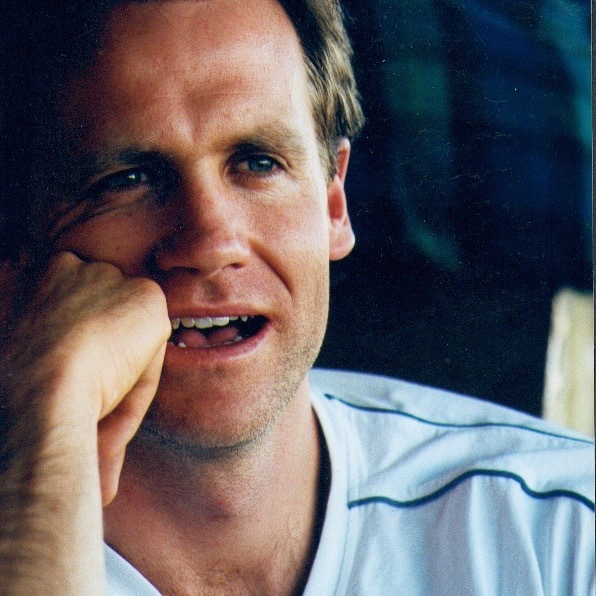 Early in his career Paul directed and produced Australian feature, One Perfect Day for which he was awarded Best Debut Director and produced the Australian action feature, Under The Gun. Paul also co-authored the best selling book, A Hero’s Journey (forward by Bryce Courtney, author of The Power of One). Paul directed the acclaimed documentaries Lionheart – The Jesse Martin Story and Every Heart Beats True: The Jim Stynes Story and co-produced David Attenborough’s Great Barrier Reef documentary. Paul directed the ABC TV series Twenty-Something and Executive Produced Max Rose starring Jerry Lewis and the cop thriller Rampart, written by James Ellroy and starring Woody Harrelson, Sigourney Weaver and Robin Wright. He produced the fantasy adventure film The Moon and the Sun starring Pierce Brosnan and William Hurt and recently finished directing and producing the psychological thriller 2:22 with Michiel Huisman and Teresa Palmer. He produced the large budget Chinese film Bleeding Steel starring Jackie Chan and the Chinese/Australian Co-Production, The Longest Shot. Paul also just completed directing the live-action opening and ending of LEGO: Ninjago also starring Jackie Chan. Paul was nominated as Australian of the Year for co-founding The Reach Foundation, a charity that has affected the lives of over 500,000 young Australians. He also served as Creative Director for World Reconciliation Day, a live and multi-camera broadcast event that featured Nelson Mandela and Rubin ‘Hurricane’ Carter. Applications to participate have closed. Audit Tickets are selling fast.